• GEO AR EDITOR: Do you also think that location is important? Now you can create an AR message and hide it at a specific place. Your friends will have to visit the original location in order to see it. 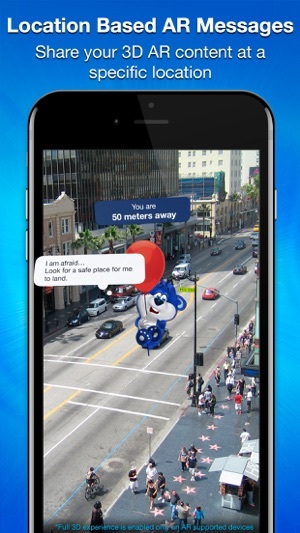 • AUGMENTED REALITY EDITOR: Create special 3D AR messages using Snaappy characters, images, videos and text. Your friends would be able to see it in FULL 3D at their own location. • LIVE VIDEO EDITOR: Record a video and use our unique video effects to enhance your experience in real time. • IMAGE EDITOR: Did you know that your photos can talk? Take a photo and add a 3D character, special sound effects and your own voice to generate a cool short video clip you can share with the world. • REAL TIME TYPING: Hate waiting to see what (...) means when friends are typing a message? 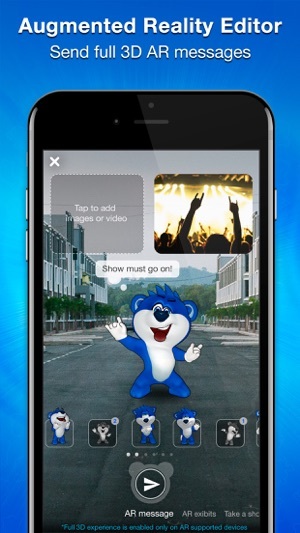 Skip the wait with Snaappy and see what your friends are typing, as they type, in REAL TIME! 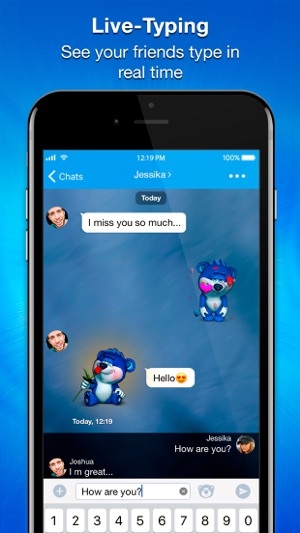 • 3D CHARACTER MESSAGING: Go beyond regular emojis when expressing yourself with Snaappy animated characters, add a voice over when sending a character or let Snaappy’s algorithm predict the right character based on your personality. • SOCIAL PROFILES: Create your own unique profile with a personalized status and up to 5 photos. Snaappy users can add comments to and even “like” your profile. 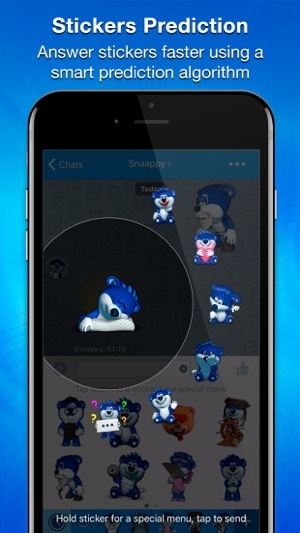 • SECURE MESSAGING: Use Snaappy disappearing messages keep your messages, pictures, videos and chat histories 100% safe and private. • FREE AUDIO AND VIDEO CALLS: Talk or face time with your friends and family for free! • GROUP CHAT: Start a group chat with up to 20 people, from anywhere in the world! 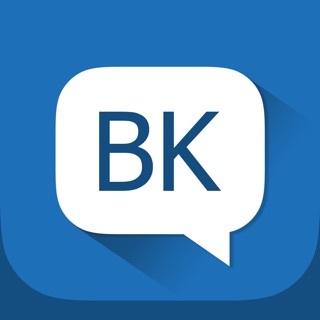 • CUSTOM CHATS: Customize each of your chats to make them reflect the personality of the people you’re talking to! 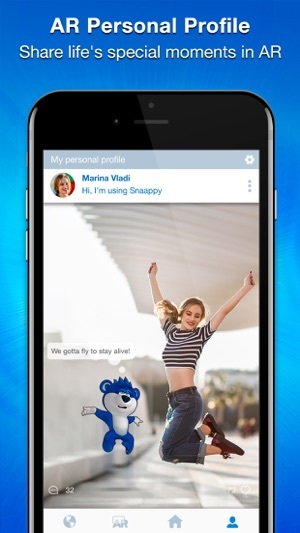 Snaappy is reinventing the future of communication. What are you waiting for? Download Snaappy now and see for yourself! * Additional data transmission fees may apply. For more information, contact your service provider. ** Full 3D experience is enabled only on AE supported devices. We always welcome your feedback and suggestions. Please email us at support@snaappy.com or follow us on instagram @snaappyworld. In this version there is a new function - share your current location (or any other place on the map) with your friends. Wow this is so good app. I would like to inform you that sir, if you have more improvements as like as video recording. When we are talking on video. 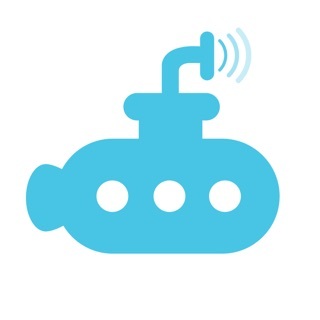 Sonar for Periscope - Discover Live Broadcasts!